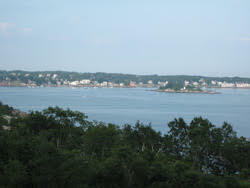 We purchased an acre of land with an ocean view in Gloucester. We decided to consult with Dan Ottenheimer and the team at Mill River Consulting because they were experts in the industry. We certainly made the right move. Our project manager, Isaac Rowe, couldn’t have been more professional. Mill River Consulting’s up-to-date knowledge and expertise on the state and local rules, wastewater technologies, and their commitment helped us to be successful and begin building. Under Isaac’s direction, the team was able to test the entire lot methodically and thoroughly, leaving "no stone unturned," so to speak. With diligence, expertise, and tireless effort, they were able to find suitable soil and also provide us with a design for the most optimal septic system for the property. We have now moved into our new home and are totally grateful for every action Mill River Consulting took to get us here. We would highly recommend Mill River Consulting for ANY project. As an attorney doing much of my work with land-use and permitting issues, I refer my clients directly to the experts at Mill River Consulting... they have helped my clients with everything from surveying to wetland delineation and civil engineering of all types. They have assisted us with projects from a simple Title 5 inspection necessary for the sale of a home up to subdivision plans and everything in between; they make it simple for the homeowners/property owners to move forward with the proper guidance and representation needed for permitting as well. When we bought the old "Lobster Pool" in hopes of turning it into an ice cream shop (a dream that I'd had forever), we never realized all the permitting and occupancy issues we might encounter. 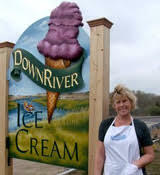 We needed expert guidance and permitting help and we contacted Mill River Consulting right away. One of the most challenging issues was how to put the water line in. We weren't able to drill straight down due to environmental restrictions (marsh, wetlands, etc. ), but luckily we had Isaac Rowe of Mill River Consulting, who helped facilitate directional drilling. With his help, the town of Ipswich agreed to let us tap into their public water supply even though our property lies in Essex. Mill River Consulting worked with the various agencies needed to permit the shop; this included the Massachusetts Department of Environmental Protection, the Essex Board of Health, Essex Conservation Commission, and also the Town of Ipswich's Board of Health, Conservation Commission, Public Works Department...it was quite a lot of permitting needed to complete our project. 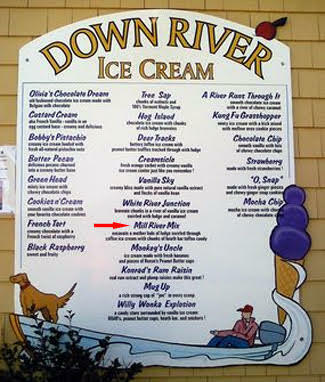 With the expert guidance of Dan Ottenheimer, Isaac Rowe, and the rest of the Mill River Consulting team, we were able to open the Down River Ice Cream Shop. We highly recommend the team at Mill River Consulting and are thankful for their dedication, innovation, and guidance. They think "outside the box" and made our dream come true. As an architect working on Cape Ann for the past 15 years, I have seen the required rules and regulations for land development and construction become more and more complex; these changes include everything from septic system design, conservation laws and bylaws, new stormwater management rules, and general permitting. I advise my clients of the danger sometimes involved when attempting to navigate these issues alone, especially with our homes being such a critical and large asset in our lives. Whenever a client approaches me with any of these issues, I immediately suggest Mill River Consulting; I can rest assured that by us working with Mill River Consulting on our team, they will guide our client through the myriad of regulations that exists today. I also know they will do it with the highest level of quality and professionalism that one can expect from a dedicated owner and staff.